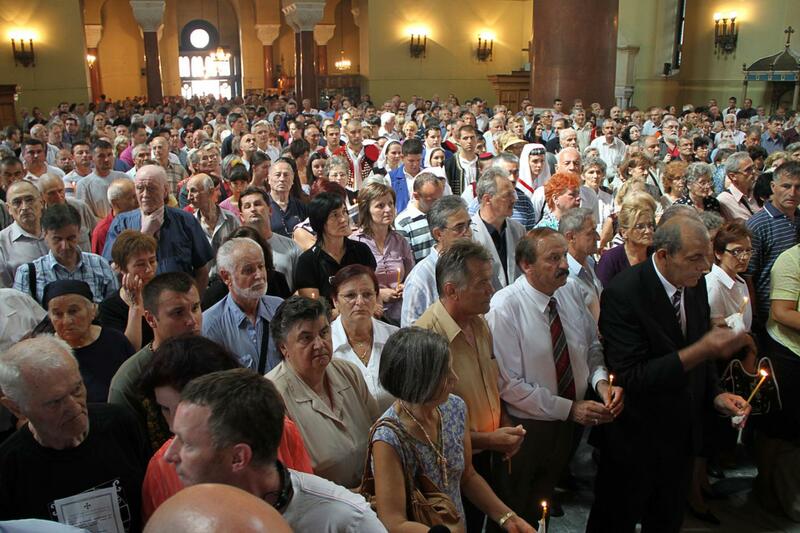 Bishop Atanasije of Hvosno, auxiliary to the Serbian Orthodox patriarch, led a memorial today in Belgrade's Church of St. Mark in the presence of Serbian President Boris Tadic, other Serbian officials, and a large number of the city's faithful to commemorate the victims of Operation Storm, the offensive by Croatia and Bosnia-Herzegovina that killed over 3,000 Serbs in Slavonia and Bosnia and resulted in the expulsion of roughly 340,000 Serbs from Slavonia and Muslim-occupied Bosnia. Although some of the operation's perpetrators have been sentenced by The Hague, the refugees have yet to be allowed to return to Slavonia or Bosnia to reclaim their properties. More here and (in Serbian) here.